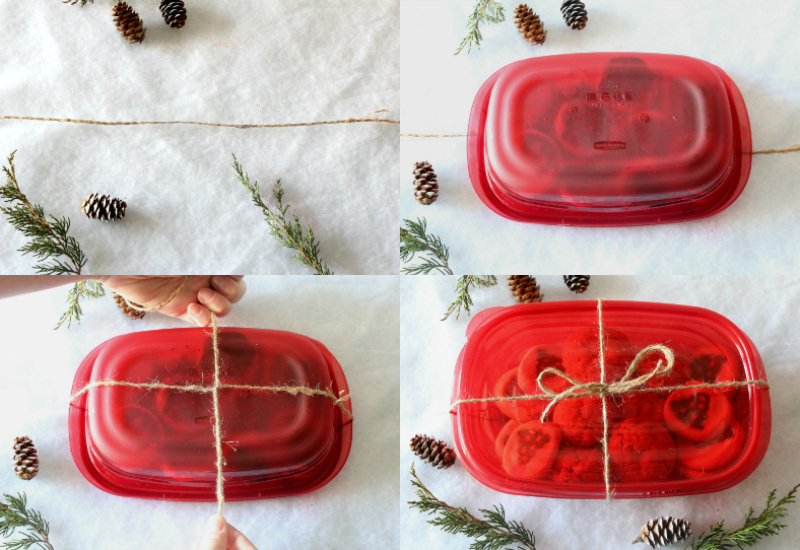 Are you looking for a creative idea to spruce up your holiday gift wrapping? Check out this stylish and sustainable gift wrapping tutorial, inspired by Mother Nature. 'Tis the season for giving! This time of the year, we often over do it with the amount of wrapping that goes into the gifts we are giving. We spend all of this time beautifully wrapping a gift, only for it to be torn open in two seconds. And then, all of the beautiful paper, bows and ribbon end up in the trash. What a waste of time, money and paper! Sometimes, less is more. You don't need excess paper, plastic bows or yards and yard or ribbon when you can borrow from nature. 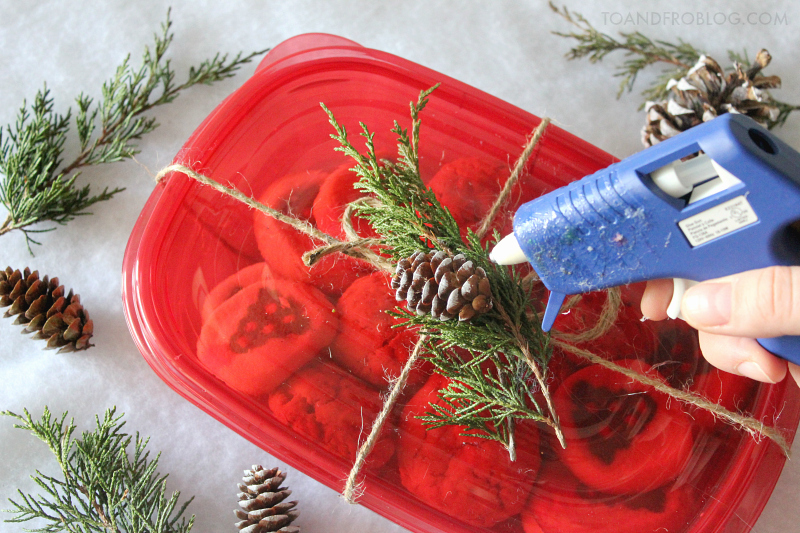 Why not take advantage of items found in your own backyard to decorate your gifts instead? 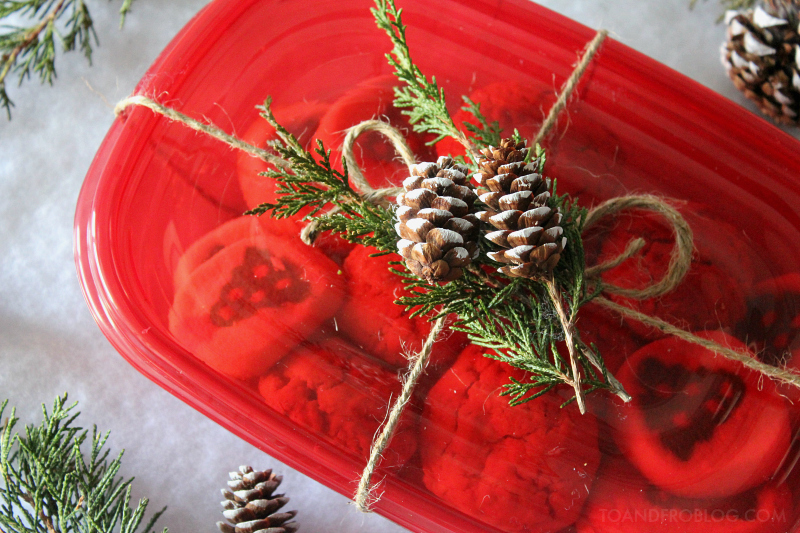 Pinecones, evergreen boughs and other seasonal elements are easy to source this time of year, and free! 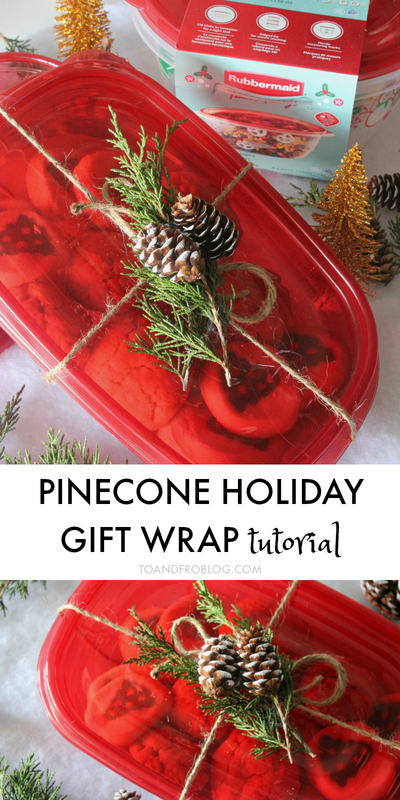 Bring the outdoors in with this stylish and sustainable pinecone holiday gift wrap tutorial. 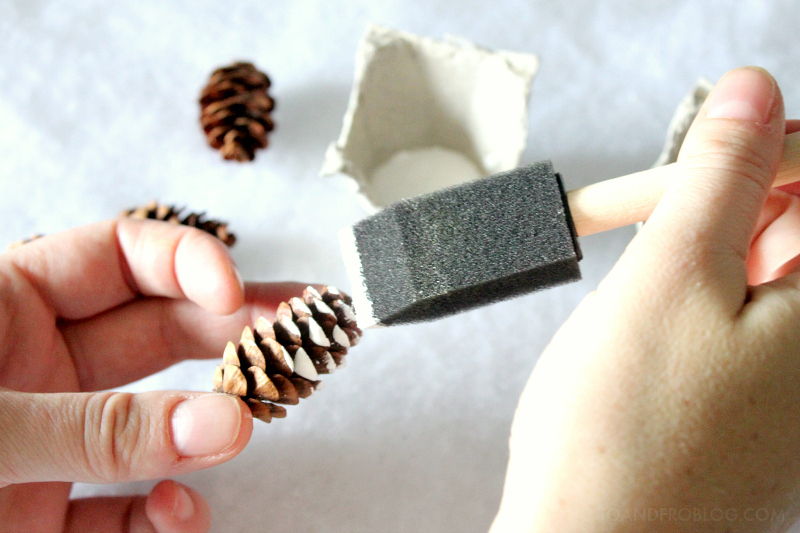 Using a small paint brush and paint colour of choice, cover the tips of the pinecone by brushing up towards the top of the pinecone. I recommend using a colour to add a little pop, such as white, gold, silver or red. Allow the paint to dry completely. Optional step: Using recycled paper, such as newspaper, magazine pages, old maps, paper bags or brown craft paper, wrap your item as per usual. To wrap the package, you will need a length of twine approximately 4 to 5 times the width of your package. Lay the twine out on a flat surface. Gently flip the package over, and centre on the twine. Bring the ends of the string around the package and twist the ends around one another to create a “t” shape. Flip the package over (should now be upright) and tie the ends together with a square knot. Tie the loose ends into a bow, or leave as is. Arrange the pine cones and other natural elements as desired. Using the hot glue, affix to the top of the package. Optional step: Cut a tag-shaped piece from the cardboard. Punch a hole in the top and add some string. Add your wording and fasten to the package. Voila! Simple, stylish and sustainable. When it comes to sustainability, we also make sure to go beyond the gift wrap and also pay close attention to what we put our gifts in. This includes repurposing bags and boxes from previous holidays or taking advantage of reusable containers. Everyone loves baking around the holiday season, myself included. 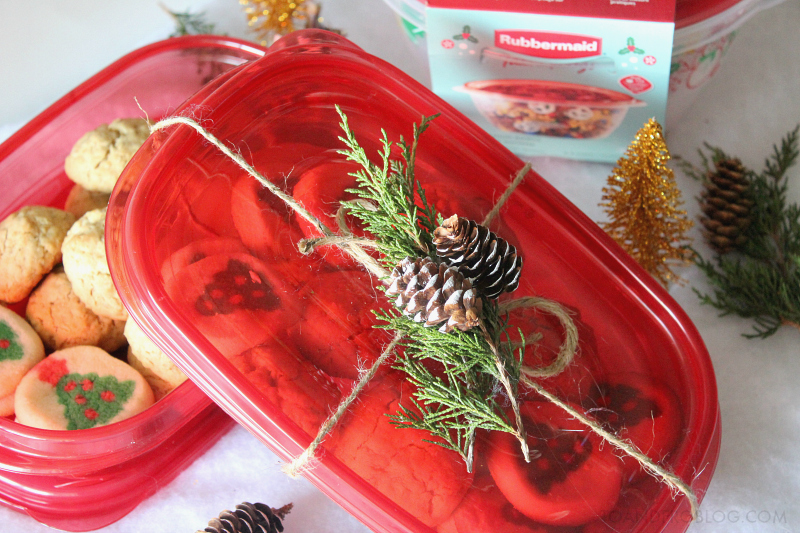 If you plan on gifting some sweet treats to friends and family like we do, take advantage of Rubbermaid TakeAlongs. Not only are they a sustainable option because they can be reused over and over, but they are also the safe option for making sure your treats make it to their destination in one piece. The Quik Clik SealTM keeps food secure and helps prevent spills, and the soft lid grips the container tightly for a great seal. 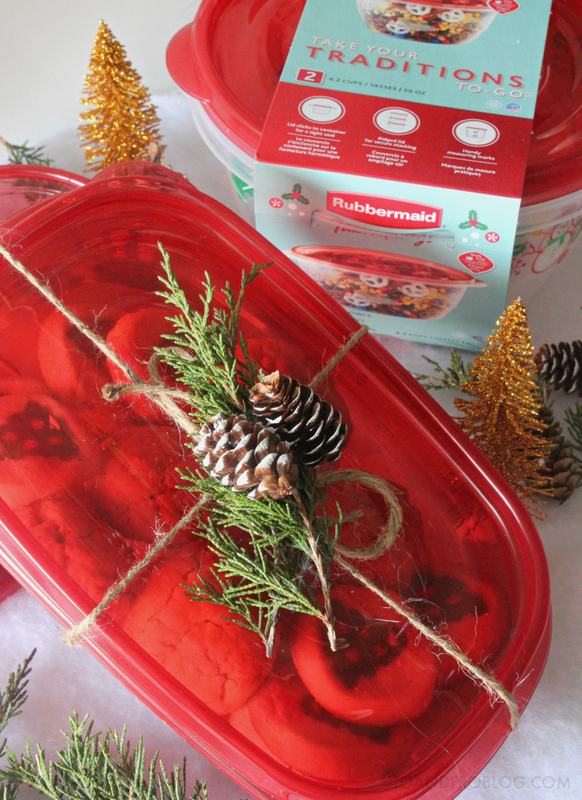 Rubbermaid TakeAlongs are also microwavable, top rack dishwasher safe and freezer safe. 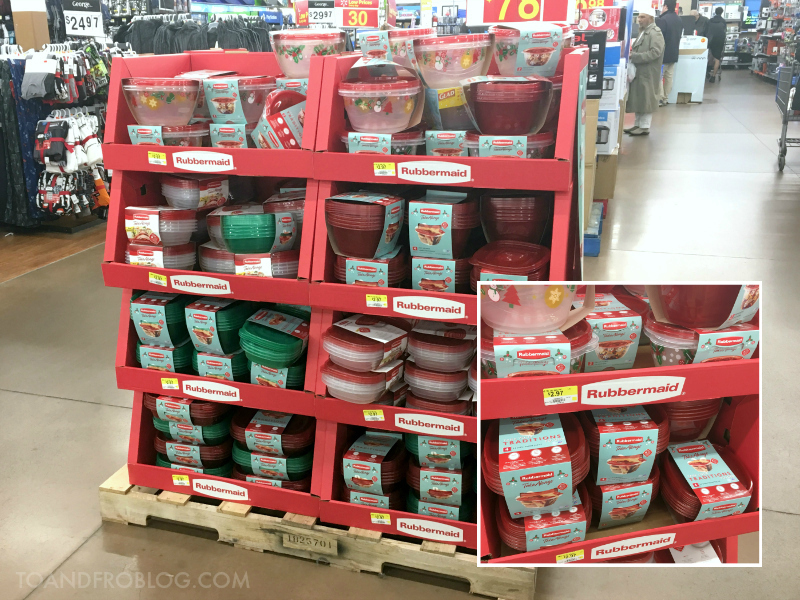 Holiday Rubbermaid TakeAlongs come in limited edition red, green and festive prints and are available in the Home Goods section at Walmart from 10/29-12/24. I found mine located in the aisle between the Home Goods and Men's Clothing sections. 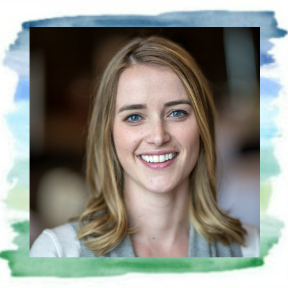 How do you make sustainability a priority during the holiday season? I'd love to hear! 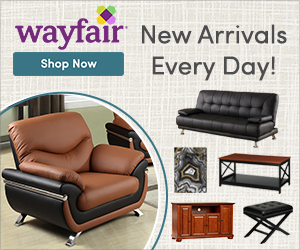 For more holiday inspiration, check this out.